After having had several written requests ignored, a group of Ogoni Youth, under the aegis of Ogoni Youth Federation, has dragged the Hydrocarbon Pollution Remediation Project and the Ministry of Environment to a Federal High Court in Port Harcourt over the delay of the Ogoni clean-up. The group additionally wants the company to explain how the $10m take-off fund for the clean-up was spent. The Ogoni people are still suffering from environmental damages done by Shell Oil Company in the 1990s, which affects both their health and livelihood. 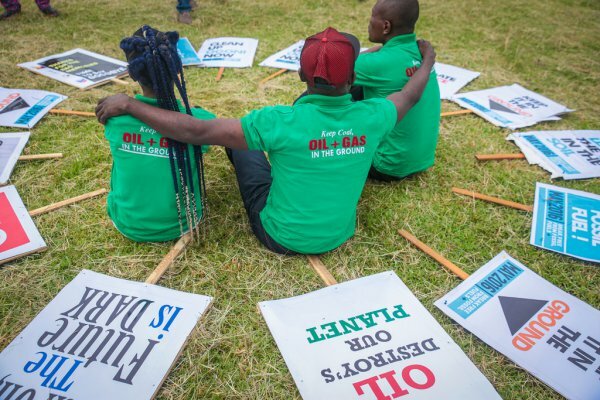 Ogoni youths, under the aegis of Ogoni Youths Federation, have dragged the Hydrocarbon Pollution Remediation Project and the Ministry of Environment to a Federal High Court in Port Harcourt over the delay of the Ogoni clean-up exercise. The president of the youth group, Legborsi Yamaabana, who spoke to journalists after the court proceeding, said the group also wanted the court to compel the company to explain how the $10m take-off fund for the Ogoni clean-up was spent. Yamaabana stated the youths decided to approach the court after several written requests by the group to HYPREP and the Ministry of Environment requesting the details of the utilisation of the fund were ignored. He said “Ogoni youths have approached the court to seek accountability and transparency relating to the Ogoni remediation exercise. “Ogoni people cannot continue to die of benzene-poisoned drinking water, seven years after the UNEP report and nothing has been done. We are in court to safeguard the lives of our people.